Stone found in nature, have to be quarried from their thick beds. After quarrying large pieces of stones, it is essential to break them into smaller sizes so that they can be used in buildings. The Dressing of stones is important so that they are dressed in suitable shapes and polished to give a smooth surface if desired. The stones are used in different types of masonry; therefore, it has to be cut and shaped to fit in the type of work needed. Methods / Types of Dressing of Stones. Here in this article, we’ll discuss various types and methods of dressing of stones to get the desired surface and shapes. This process is done manually or mechanically. A dressed stone is fit for use in a particular situation in a building. Stones obtained from the quarries are very rough and irregular in shape and quite bulky in size and weight. (a) To reduce the size of the big blocks of stones so that they are converted to easily lift-able pieces. This reduction in size is generally carried out at the quarry itself because that saves a lot of transportation cost. (b) To give a proper shape to the stone. It is known that stones can be used at different places in the building, e.g., in foundations, in walls, in arches or for flooring, each situation will require a proper shape. This can be given at the quarry and also at the site of construction. (c) To obtain an appealing finish. 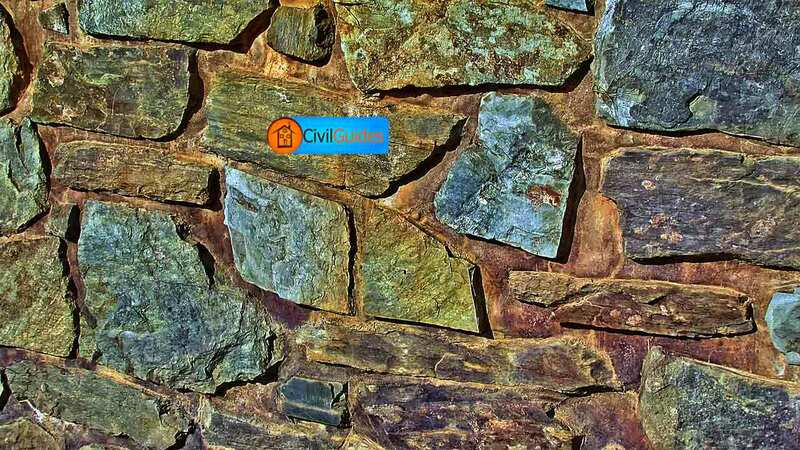 In a residential building, stones are used not only because of their extra strength, hardness, and durability but also because of their aesthetic value. Stone surfaces can be made very decorative and of appealing appearance which will last for a considerable time. A stone house has its distinct individuality in a city of concrete structures. As said earlier, dressing of stone can be done both manually as well as mechanically. 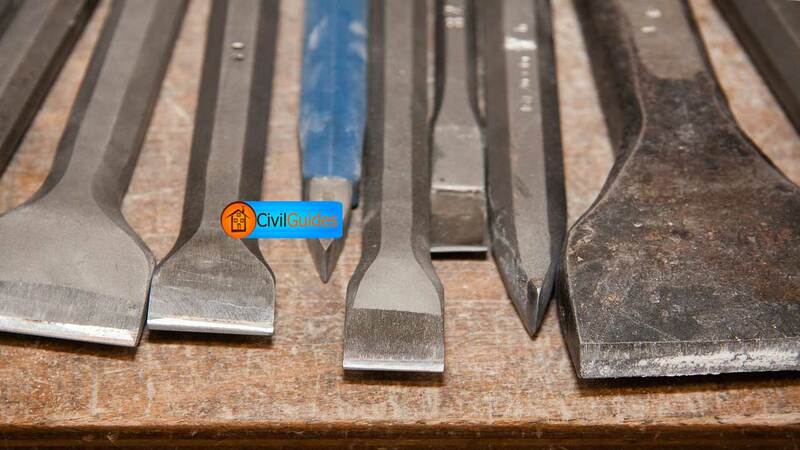 Manually, skilled stone-smiths can work wonders on the suitable type of stones with chisels and hammers and abrasives. Mechanically, machines can cut the stone to any desired size and shape. Their surfaces can be made extra smooth by polishing through machines. There are, however, some traditional types of dressing of stones which are quite popular even at present. They are described below in brief. In Pitched dressing, only the edges of a stone block are made level with the help of a hammer. The superfluous mass on the face is generally left intact. It is that type of dressing in which large raised portions of the stones are broken off, and the stone is shaped somewhat flat but rough due to hammer marks. These stone blocks are squared, and the bed and vertical sides are dressed to a distance of 8 to 10 cm from the face. This is done to enable the stone to have proper joints. This work is done by the use of waller’s hammer. The obtained stones are termed as hammer faced, quarry-faced or rustic faced. In this method, drafts or grooves are made with the help of a chisel at all the four edges. Any superfluous stone from the center is then removed. 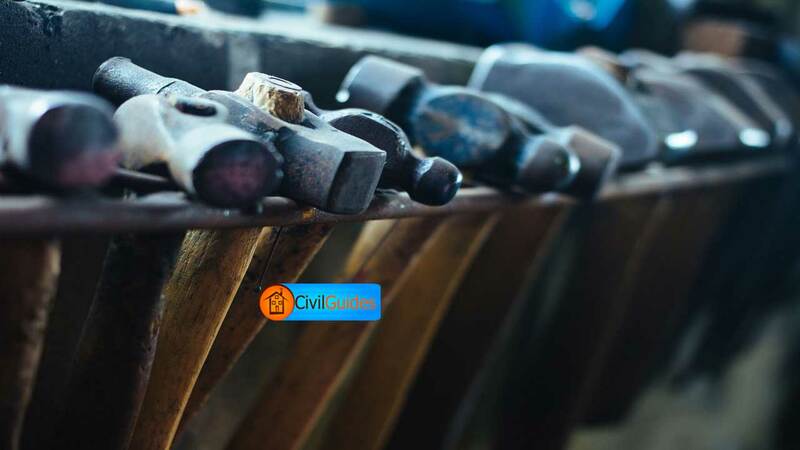 Chisel drafted stones are specially used in plinths and corners of the buildings. The edges are first squared by using a chisel and hammer. Then a series of grooves of variable width are developed over the surface of the stone. In this method of dressing of stone, about 1 cm vertical or horizontal grooves are sunk with a chisel having it’s shaped as a hollow semi-circle. The sides of the rock are kept chamfered or sunk. It is done on the stones that have already been rough-tooled. With the help of Chisels, a series of parallel ridges are developed on the stone surface. It is also called furrowed finish. This is an extreme type of dressing of stone in which almost every projection is removed from all the sides of the stone. Its surface is given a fine-texture and appealing look. It is a very common type of dressing of dressing of stone, in which the surface of the stone is covered with parallel marks that may run in any direction. A boaster which is actually a wide-edged chisel is used for this purpose. These marks may be horizontal or at any angle. The chisel marks are not continuous across the whole width of the stone. Irregular edges of the stones are broken off, and the stone is shaped. This work is generally done in a quarry, and the edges are broken with a scabbling hammer. In this type of dressing of stones, irregularly shaped sinking are made within the central portion of the stones having a 2 cm wide margin on its sides. These sinking are about 6 mm deep. The margin around the sinking is of constant width. The sunk surfaces may have punched marks to give a better appearance. This type of dressing of stone is the same as the reticulated finish except that they are more curved and give a worm-eaten type appearance. It is not very common as they need a lot of labor for construction. This type of finish is done on soft stones. A comb is driven over the surface of this stone to remove it all elevating portions. This type of Dressing of stones is obtained by finishing the stone with a point, and the depression is smaller than the above type. Molding is done to improve the appearance of stones. These are either handmade or machine made. In this method of dressing of stone, The surfaces of stones are rubbed to get a smoother finish. One piece of stone is rubbed against the other. Water and sand are added to aid the operation. It can also be rubbed by hand or machines. Stones which can take polish, e.g., granites, marbles, limestones, etc., are first rubbed and then polished by using rubber, pad, sand, water, and putty powder. However, a machine can also be used for polishing. This method of dressing of stone is done to imprint letterings and designs on the surface of granite. The polished surface is coated with a molten rubber-like compound which solidifies on cooling. The desired design is cut on this coating with a sharp tool thereby exposing the stone surface which is to be cut. A blast of sand is then blown with compressed air, the part which is exposed is cut to the depth needed. Read Also: A Detailed Guide on Grading of Aggregates.